When she was a very young girl, she had a little problem with her wrist and hand, so she worked it out with some saber and rifle spins. 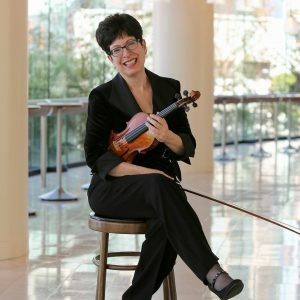 A few days ago, at Davies Hall, with Michael Tilson Thomas on the podium, her hands flew gracefully around the violin and drew forth the gorgeous sounds of Copeland’s Third Symphony. The other kid wanted to get a bit deeper into music, so he signed up to play a single-valve bugle in the parish drum corps. They made him a soloist. Last week at Zellerbach Hall, he led the Lincoln Center Jazz Orchestra from his seat at the piano as that group wailed out new arrangements of his well-known compositions. And come this Labor Day weekend, the San Francisco Symphony first violinist and the iconic jazz pianist will be inducted together into the World Drum Corps Hall of Fame, in the category of Distinguished Professional Achievement. Both artists come from small, local corps in Massachusetts: Chick Corea marched with the St. Rose Scarlet Lancers from Chelsea. Diane Nicholeris was guard captain of Sir Thomas Moore, in Braintree. Both have continued to acknowledge and embrace their drum corps roots. In an episode of the SF Symphony’s award-winning video series “Keeping Score”, Diane is featured, on the field in her DCI adjudicator garb, delivering recorded commentary to the Oregon Crusaders. Since the mid-‘70s, Chick’s music has been arranged for and performed by more drum corps than any other single composer’s works. And he’s been paying attention, recently relating how deeply he was moved by the Blue Devils’ “My Spanish Heart” production. If you lined up the 50 or so Grammy Award recordings these two have performed on and spaced them 2 yards apart, they’d stretch from goal post to goal post. 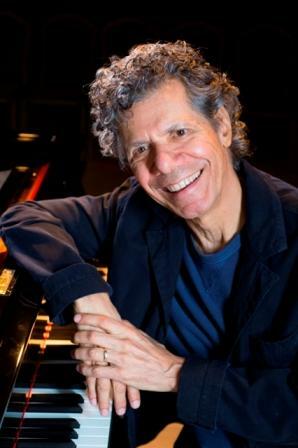 Those and all their similar successes are well-deserved, and Diane Nicholeris and Chick Corea are part of our family. Now they are being recognized as such. Chick and Diane, “two American kids, doin’ the best they can”… and that’s pretty good, indeed. Posted by DCP Publisher on Saturday, April 7th, 2018. Filed under FrontPage Feature, Inside the Arc.